A few days ago I finished my photographic workshop on the Moray Coast in Scotland and I have to admit the weather has not been kind while running my workshops this past season, so it was really nice to witness a little change. The entire week was dry and with plenty of sunshine and we were even lucky enough to witness a stunning sunset at Findhorn bay. Could this be one of the classic mini-summers we get in Scotland that only last for 2-3 weeks? I really hope not. 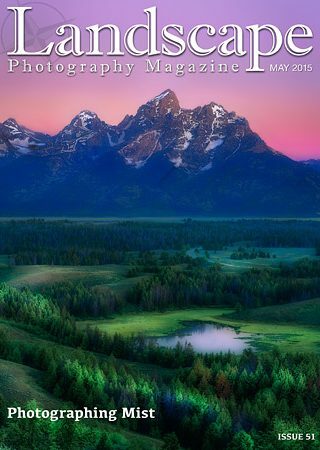 In this issue we have two extra features for you: Our popular LPM Flickr group makes a welcome return to the magazine and we are also pleased to introduce a new LPM 500px feature. If you have an account with either Flickr or 500px and you haven’t joined our groups yet, please do and start sharing your pictures with us – you never know, your picture might be appearing in the magazine. Full details can be found on pages 152 and 202. Also this month: Mark Hamblin provides an insight into how to utilise mist in order to add intrigue, mood and mystery to landscape images and David Hay shares the story of a successful photographic misty morning in the Highlands of Scotland. Brandon Yoshizawa shares some useful advice on photographing twilight cityscapes and Adam Burton agrees that photographing under superb light conditions is manna from heaven, but what happens when that perfect light turns elusive due to bad weather? Discovering and then exploring a fresh landscape is hugely rewarding and as Peter Cairns explains, even if we have to go some way to capturing it on camera, the journey is still worthwhile. 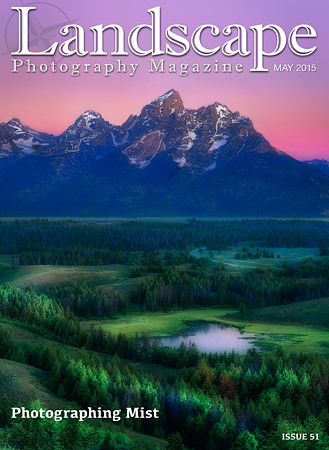 Finally, Deborah Hughes brings us an exclusive interview with Bryan Peterson, the author and photographer of nine best-selling books on photography. Enjoy spring, stay inspired and keep photographing.